and Wallabies all day long! interact with our large mob of Kangaroos and Wallabies! 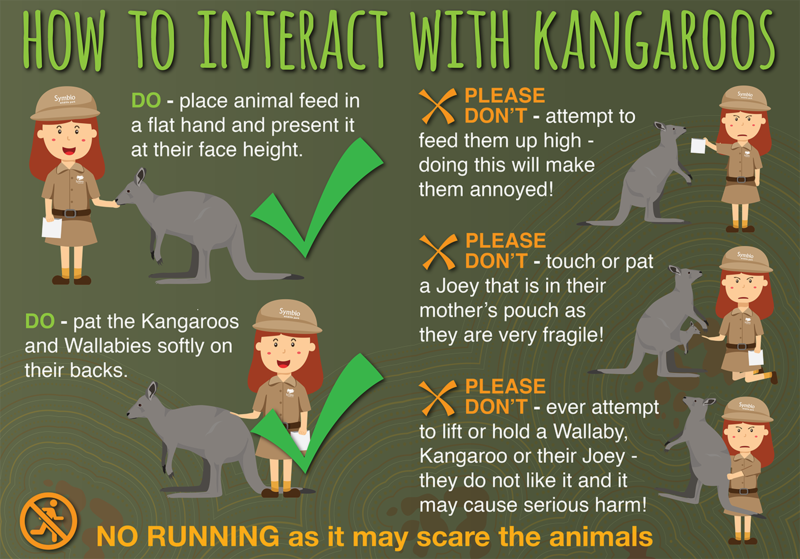 Ever wanted to meet, feed and interact with Kangaroos? If so, then you will love our Kangaroo Walk-Through area. Set on over 1 ½ acres of manicured grassland, our Kangaroo Walk-Through is one of few places in Sydney where you can feed, pet and get the ultimate selfie photo with a Kangaroo. With over 35 Kangaroos and Wallabies to meet – sometimes with joey in pouch – Symbio is definitely going to help you tick off meeting a Kangaroo from your Aussie Bucket List. Kangaroo feed can be purchased upon entry, which will further enhance your interactive experience.